Urinary tract catheter for short or long term urine drainage. Siliconized smooth surface & distal eyes with super smooth eyes for non-traumatic intubation. With ultra-thin high elastic balloon. Hard non-return valve ensures trouble free inflation and deflation of the balloon. Sterile, Individually packed in a peel able blister pack. 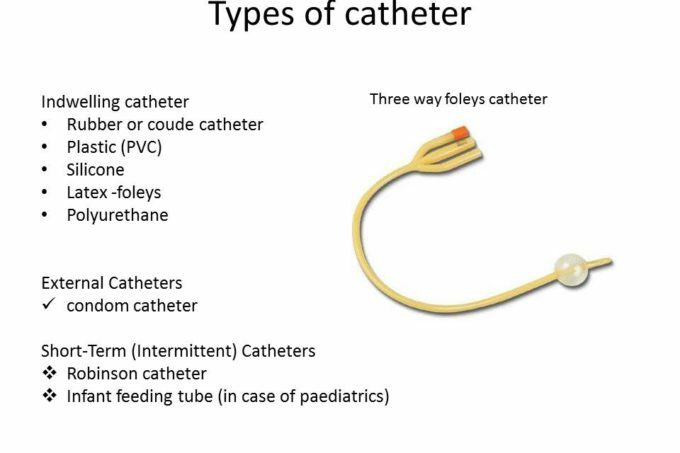 The foley’s catheter used and should changed on appropriate date/time. Used for urine drainage. made from non-toxic, non-irritant medical grade PVC compound. Distal end with 2 lateral eyes for maximum drainage & proximal end with funnel shape connector for easy connection to a urine bag. With measured volume meter for measurement of urine input. 2000ml Urine Bag and 250ml Urine Bottle. Urine Bottle is directed to a urine bag as to avoid any possibility of contamination. Push/Pull type bottom outlet for convenient emptying of urine bag. Sterile, Individually packed in peel able pouch pack. Infant Feeding tube is used for neonates and pediatric feeding. The distal end is smooth coned shape for non-traumatic intubation. The proximal end is provided with Luer mount for connection with feeding device.